OPHI is teaming up with the Economic Commission for Latin America and the Caribbean (ECLAC), the Chilean Government’s Ministry of Planning (MIDEPLAN) and the Foundation for Overcoming Poverty (FSP) to organise an international conference ‘Measuring Multidimensional Poverty in Latin America’. The conference will take place in ECLAC’s prestigious Raúl Prebisch Conference Hall in Santiago, Chile on 4-5 March 2010, and will be closed by the President of Chile, Michelle Bachelet. Participants will include international and national academics and practitioners, as well as government ministers. The meeting is being convened in response to growing interest in multidimensional poverty analysis in Latin America. It will contribute to national debate on whether Chile should build on their strong record in social policy by moving to a multidimensional measure of poverty. Mexico recently adopted a new multidimensional standard for poverty measurement, which draws on a method developed by OPHI’s Sabina Alkire and James Foster (the Alkire Foster measure). Dr Gonzalo Hernández Licona, Executive Secretary of CONEVAL – the Mexican Government Office that released the measure – will speak on their experience at the conference. 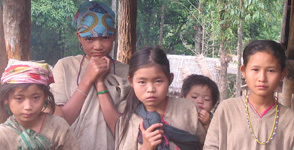 Sabina Alkire, OPHI Director, will present on multidimensional poverty in Bhutan, India and the USA. The full Programme for the conference is available here. In addition, the conference will include a session dedicated to missing dimensions of poverty data. OPHI has identified five ‘missing dimensions’ of poverty that appear to matter to poor people but are not currently collected in international survey instruments. OPHI has designed survey modules that can be integrated into national questionnaires and is fielding these in collaboration with teams around the world; including a national-level survey of these indicators in Chile. The first results of this national survey will be released at the conference. View our Missing Dimensions Poster to read more about this work, which ultimately aims to inform national and international surveys to enable richer measures of poverty. OPHI is a research centre within the Department of International Development at the University of Oxford. OPHI is led by Sabina Alkire, and works to develop and apply new ways to measure and analyse poverty, human development and welfare, drawing on the work of Nobel Laureate economist Amartya Sen. OPHI gratefully acknowledges support for its research and activities from the Government of Canada through the International Development Research Centre (IDRC) and the Canadian International Development Agency (CIDA), the Australian Agency for International Development (AusAID), the United Kingdom Department for International Development (DFID) and private benefactors. In Chile, OPHI has been working with MICRODATOS on a national-level survey of these indicators to create the first nationally representative dataset of its kind. Analysis of this dataset on the missing dimensions of poverty in Chile is underway following OPHI’s public call earlier this year. Over 20 proposals from researchers around the world were accepted, and the Universidad Alberto Hurtado, the Universidad de Chile and the Universidad del Desarrollo will present some preliminary results at the conference.